This Aomori craft Sake is made with a focus on select rice and yeast from their own prefecture, and utilizes Hachinohe, Kanisawa District's famed water for brewing. Be it Japanese or Western, this Sake has a crisp finish that compliments and enhances flavors from any cuisine. 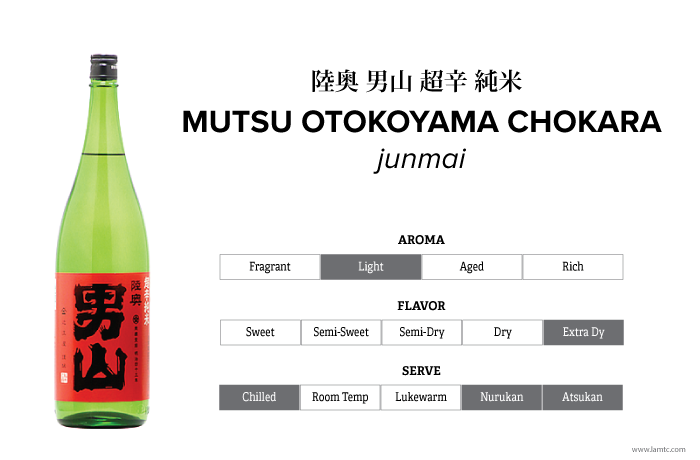 The harmony of mellow richness and umami make this refreshingly smooth, dry Sake one you are sure to enjoy. Brewery: Hachinohe Shuzou Co., Ltd.